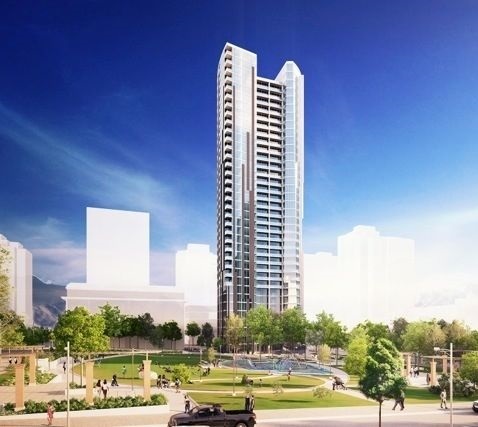 (Updated Jan 28 with more details) On January 27, 2015, the BC Supreme Court delivered a scathing ruling against the City of Vancouver in its dealings with the New Yaletown community downtown regarding a 36-story tower approved to be built on a corner of Emery Barnes Park (land owned by the City) and a land swap for a private lot on Richards Street. The media have covered the story extensively today (see links below). The Community Association of New Yaletown has done a detailed post (Supreme Court: Vancouver Development Process Unfair, Illegal). The essence of the case had to do with the City of Vancouver’s failure of “procedural fairness” for the public. The West End has a mysterious connection with this case. It deserves further scrutiny. 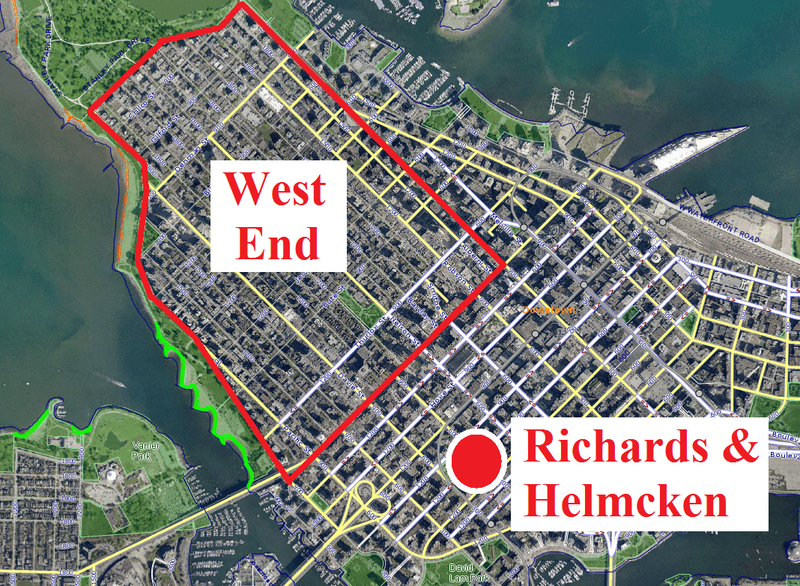 At a January 23, 2014 Public Hearing, Vancouver City Council approved bylaw changes and amendments in the West End to make zoning compatible with the West End Community Plan, which itself was adopted by Council in November 2013. But it is somewhat of a mystery how, in the appendix at end of a 90-page document for bylaw changes for the West End, text was inserted to change provisions that would affect New Yaletown (a completely different neighbourhood) and the entire Downtown area. The City made no effort to point out the implications to residents in either neighbourhood, or to citizens who spoke at any public hearing. In effect, the changes remove the requirement for Council’s prior approval of density increases, and remove the requirement that density increases be for social housing. On top of that, the City did not notify the public that these hidden changes would affect the New Yaletown neighbourhood, paving the way for the 508 Helmcken development. See the CANY chronology for reference to this topic. Perhaps the public will never know how this mysterious connection came about. Below, we provide a link to the full text of the judgement, and provide a few excerpts specifically relating to the West End, plus media links. Here is the link to the full judgement by Justice McEwan, courtesy of Community Association of New Yaletown. Failing to provide proper notice of the January 23, 2014 public hearing relating to the amendment of section 3.13 of the Downtown Official Development Plan. The West End Community Plan was approved by Council on November 2, 2013. As part of the implementation of that plan, zoning amendments will be considered by Council at the Public hearing on January 23. The proposed amendments are to the Zoning and Development By-law, Section 2 (definitions); RM-5, RM5A, RM-5B and RM-5C (residential) District Schedule; C-5 and C-6 (commercial District Schedule; Downtown Official Development Plan; and Rental Housing Stock Official Development Plan. The notice fails to identify the fact that the New Yaletown area will be affected by the amendments to section 3.13. The petitioner submits that the amendment affects density for low-cost housing outside the west end, including 1099 Richards. The petitioner submits that the timing of this amendment is suspicious in that it appears to cure a defect in City Council’s endorsement of the DPB’s conditional approval of an increase in the floor space ratio required to build a 162 unit, 89,965 square feet social housing building at 1099. The position of the City is that regardless of the label, the fact that the Downtown Official Development Plan was included in the amendments was evident, and that an appropriate notice was given as well as an opportunity to read the bylaw. On this basis, they submit there are no grounds for the petitioner to object to the notice that was given. I also think the petitioner’s concerns about the notice given concerning the amendment to s. 3.13 of the Downtown Official Development Plan are well taken. It is asking too much of residents of the City to expect them to look past advertisements that clearly identify one part of the City as the affected area, to see whether other areas have been included as well. That decision and By-law 10865 are quashed as well. So, West End Neighbours finds that the findings and judgement by Justice McEwan open up more questions about how the West End Community Plan ended up playing a role in the land swap deal in a completely different neighbourhood. And with the quashing of by-laws, and what are the implications for implementation of the West End plan? Stay tuned. MEDIA LINKS regarding the court decision on January 28, 2015 follow below.